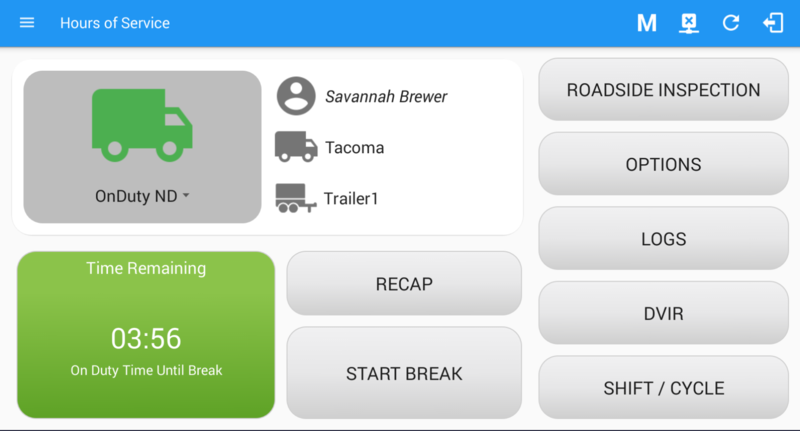 The ELD Driver app replaces the paper logbooks previous used to record the Hours of Service. Questions regarding specific regulatory issues, such as when to use which Duty Status) should be directed to the DOT and FMCSA. The default language for the ELD Driver App is English. Spanish and Canadian French are available as well, by setting the system of the device used for accessing the app (tablet or cell phone) to the preferred language. However this may require the Driver to reset to English in the event of a Roadside Inspection.